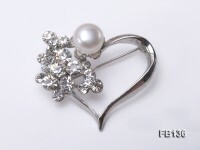 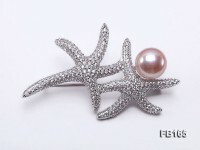 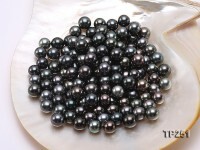 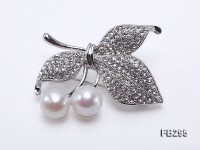 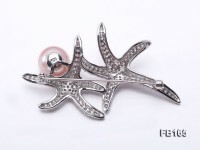 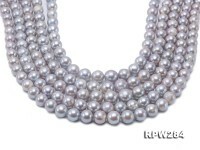 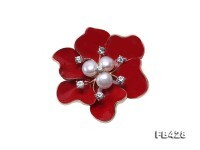 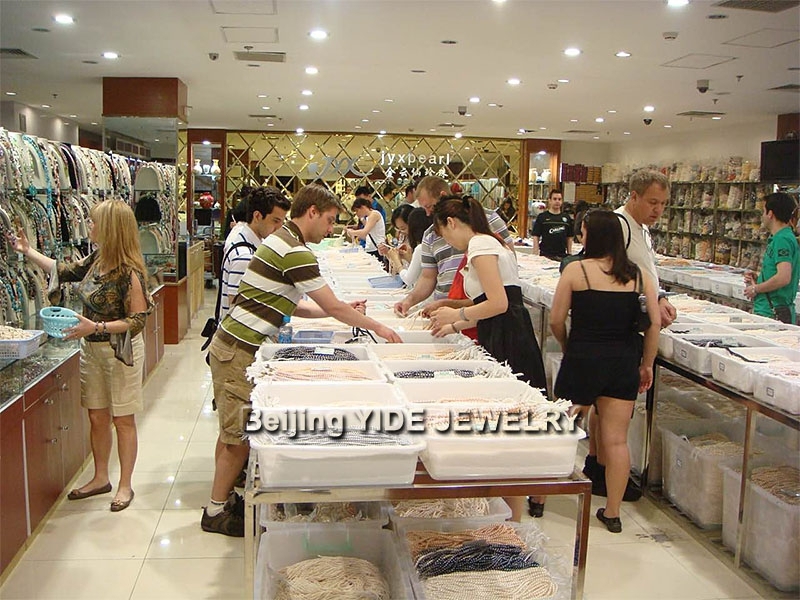 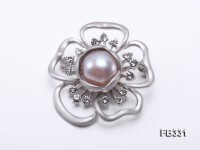 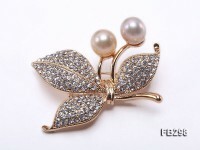 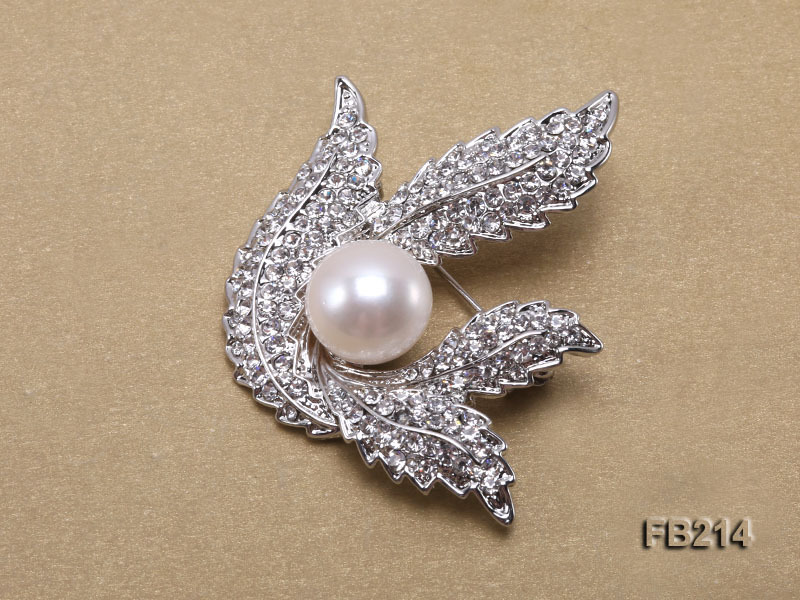 Charming 12.5mm white freshwater pearl brooch for sale. 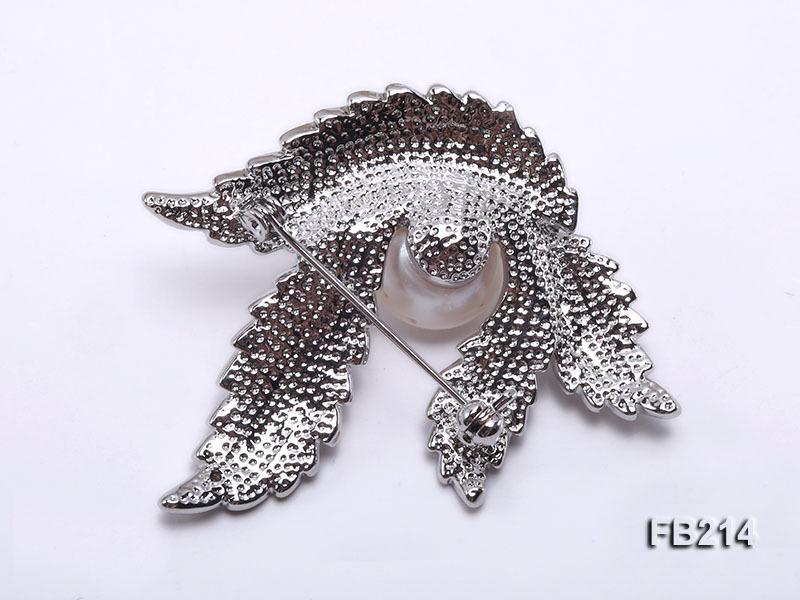 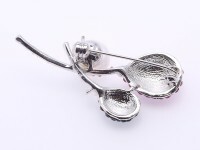 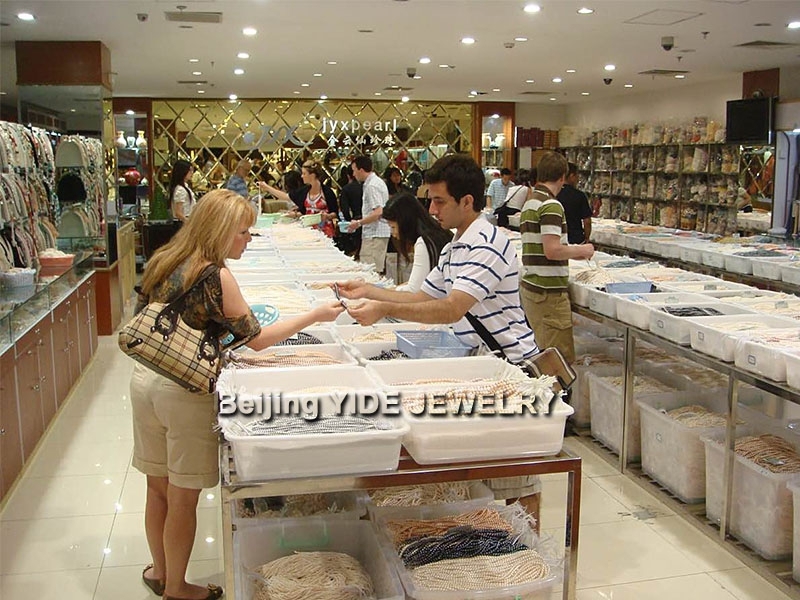 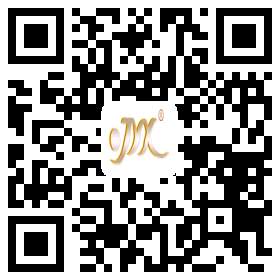 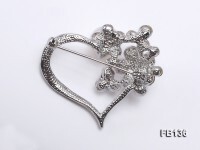 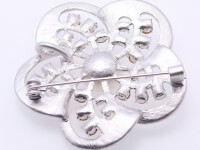 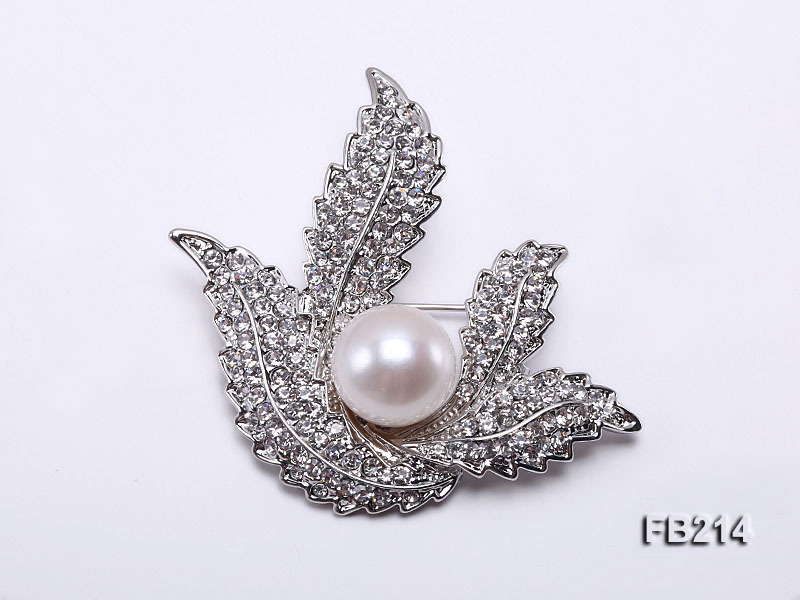 The brooch is carefully crafted with white alloy and thickly dotted with shiny zircons. 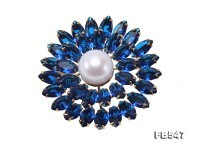 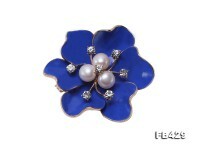 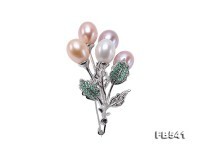 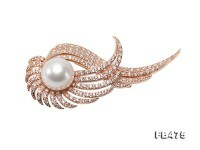 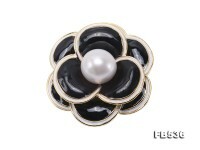 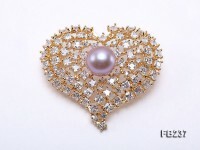 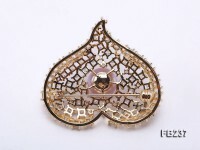 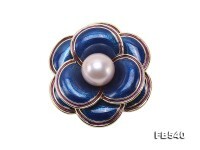 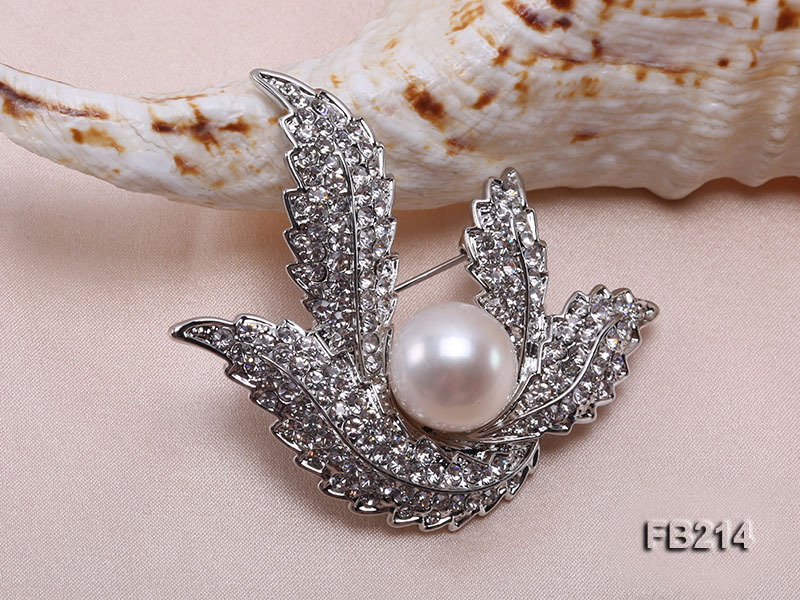 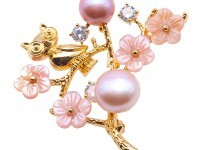 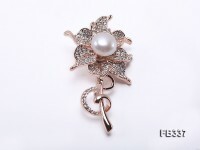 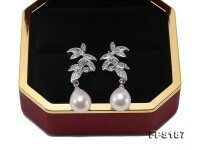 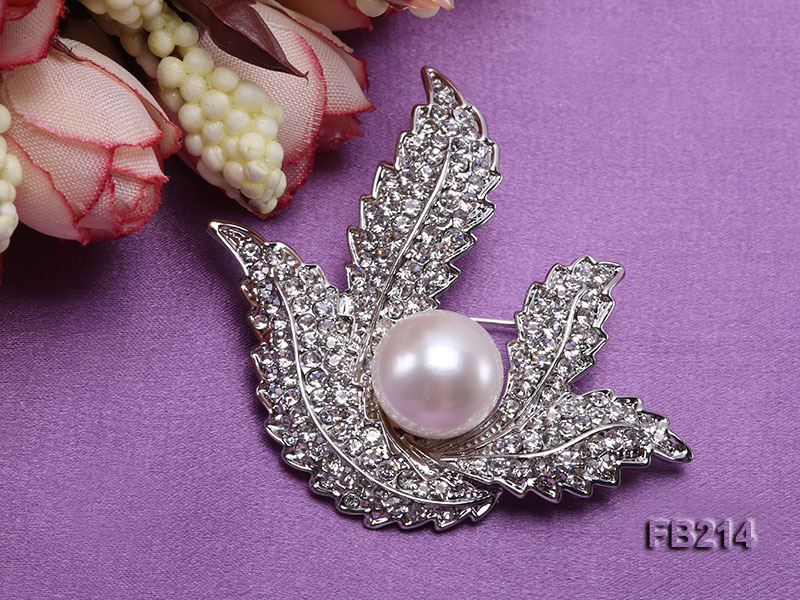 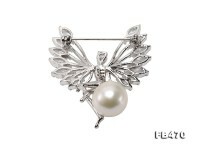 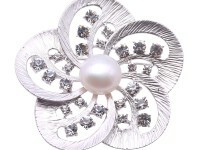 A piece of white pearl is artistically set on the dazzling brooch. 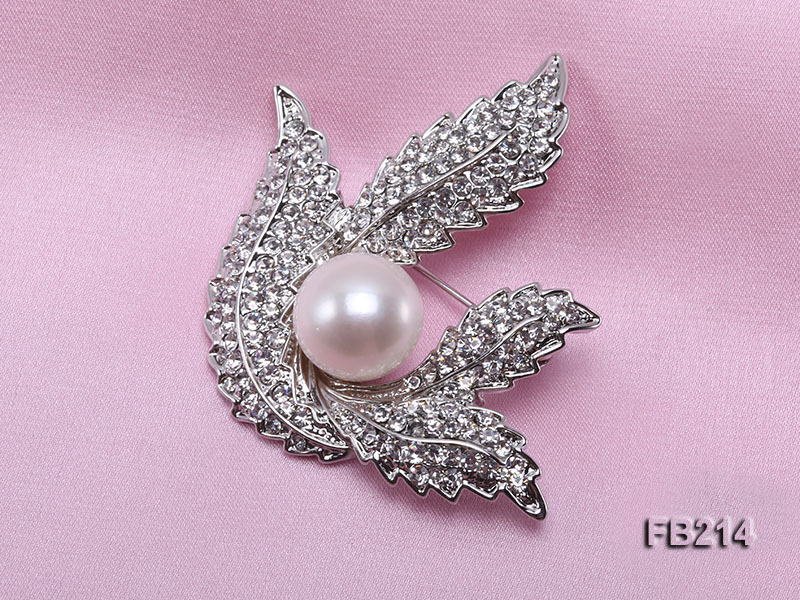 The pearl brooch is delicate in design and easy to go with all kinds of coats and evening dresses to fend off winter cold.